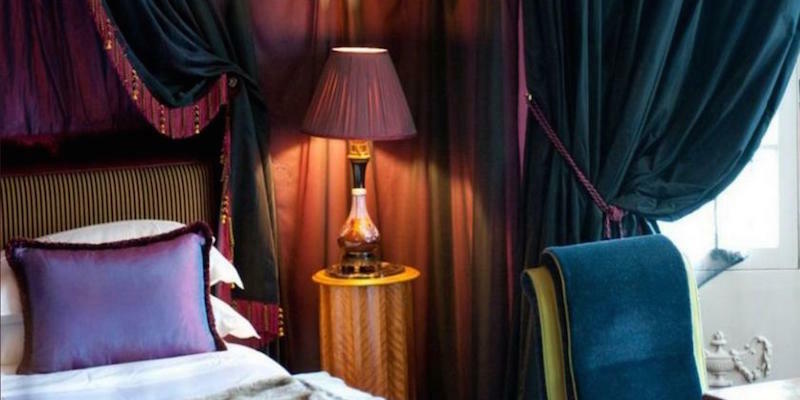 Intimate and inviting boutique hotels are a tradition of the City of Light. It's the personal service and attention to detail that sets boutique hotels apart. If you're like us, when you think of Paris you think of settling into a cute hotel — charming, romantic, filled with French details that will simply make you happy to be there. 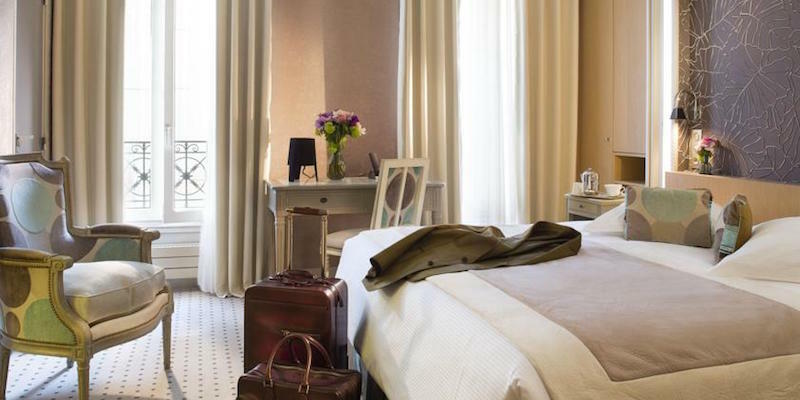 Our recommended boutique hotels don't come with a five-star price tag. You'll find boutique & romantic hotels in the city's best areas — from the Latin Quarter to the Left Bank to Champs-Elysées. And, if you take a look on Booking.com, you're almost always able to find rooms on sale. By the way, don't expect a bellman or porter to deliver your bags to your room. That doesn't happen often in Paris, unless you're staying in a 5-star luxury hotel. For more than a century famous writers have congregated in Saint-Germain-des-Pres quartier of Paris. You, too, can find your temporary home at one of the Left Bank hotels we've discovered and reviewed, to feel like you're part of the life of the city. The shopping in the district is fun & exciting and it's where you find our fave department store, Le Bon Marché. 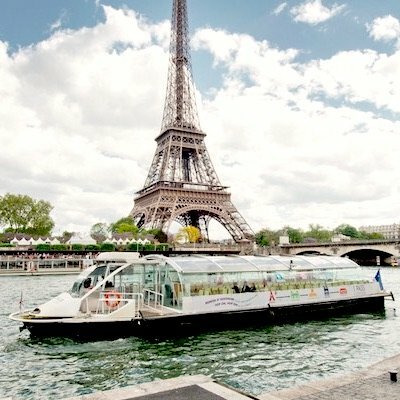 You're also close to the Eiffel Tower, Musée d'Orsay and, of course, the famous Boulevard Saint Germain. 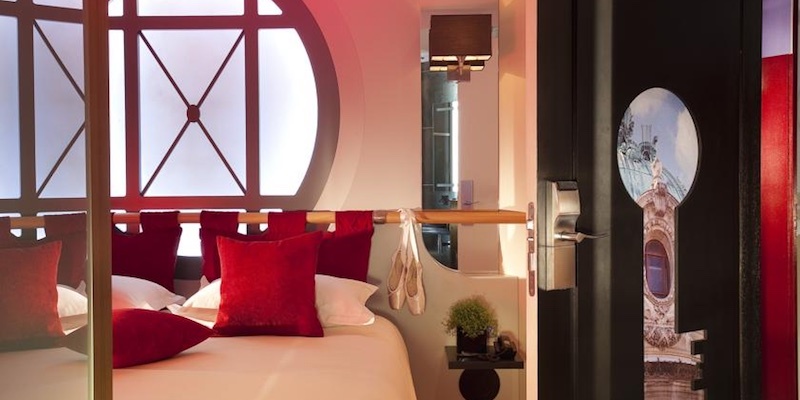 Trendy, upbeat and centrally located, some of the cutest Paris hotels in are found in the picturesque Latin Quarter. The Latin Quarter is 5th Arrondissement and it's named for the Latin-speaking scholars who once inhabited the quartier. (It's still the home of students and universities.) All in all, it's one of our favorite places to be in the city, and you're close to so many attractions — like the Pantheon, Jardin du Luxembourg and even Notre Dame Cathedral, just across the river. Montmartre still manages to a lot of its hilltop village ambiance from over a century ago. The quartier is distinctly different from the rest of Paris, if just for the magnificent views. It's a lively neighbourhood full of boulangeries and restaurants, and it's a good place to settle in for your visit to Paris. We'l tell you about the nine best hotels in Montmartre and why we've singled them out. 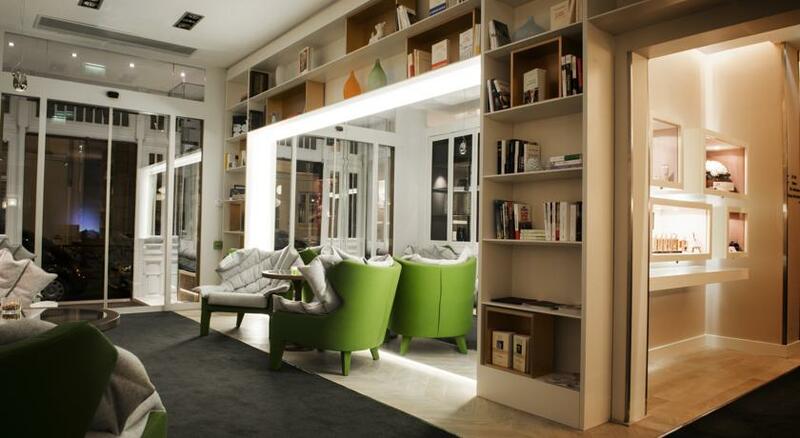 We adore a sense of design in Paris hotels. It makes us feel we're doing some extra-special. So we've scouted out the best Paris design hotels, chosen for quality, decor and value. There's also an absolutely fabulous hotel designed by Christian Lacroix. 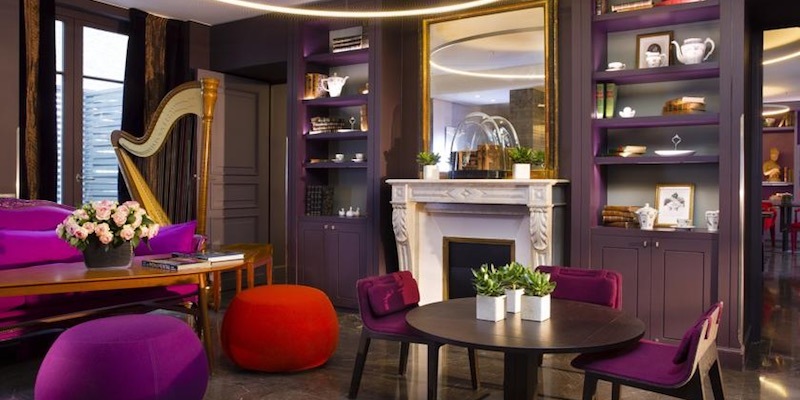 Most of our selected hotels are located in the Paris central-action zone, but we also like the über-hip Mama Shelter, even though it is way out in the 20th Arrondissement. Champagne, roses, cozy corners — romantic hotels are the way you want to experience Paris. You are in the City of Romance after all. 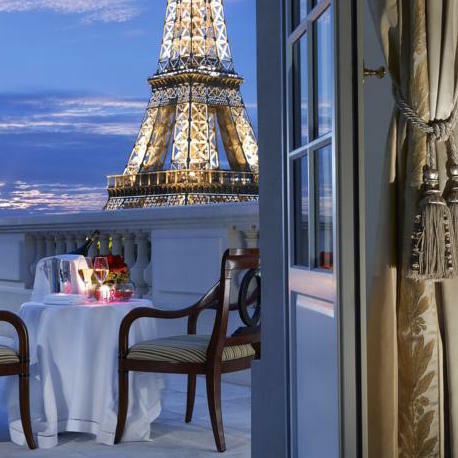 So, whether you're in Paris to find romance, to rekindle romance, or simply to enjoy the feeling of the romance of the city, these charming hotels are waiting for you. 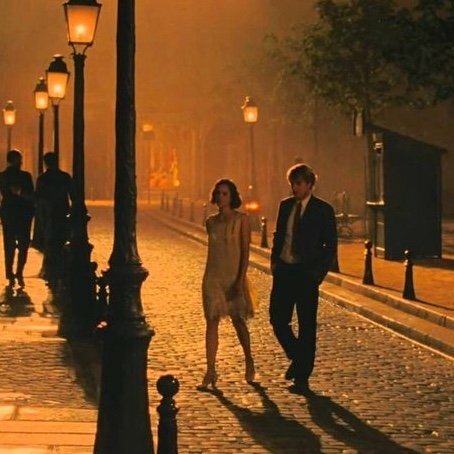 It's just what you imagined Paris would feel like. Egad, here's that "charming" word again! Sorry, we can't help ourselves when we talk about these lovely hotels. This group of… charming hotels (there's just no other word!) are filled with French décor, inviting color, tasteful furnishings, and romantic touches. These hotels will make your visit memorable. As we've said, Paris is all about charm, so check out our reviews to discover some of the city's delightful hotel secrets. 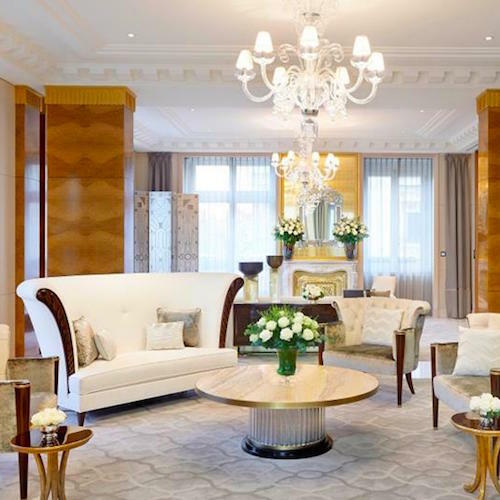 In Paris, hotel rooms are small, even in many luxury hotels. Boutique hotels are "intimate" (another way of saying small) — but what they lack in space, they make up in charm. Don't be surprised if your hotel elevator is the size of a closet with barely enough room for one person and a suitcase. Remember, Paris is an old city with old buildings, and elevators were an afterthought, fit into whatever space could be found. Many times the breakfast room will be found in the cellar of the hotel, but hotels breakfasts can be expensive. Save money and get a better Parisian experience by heading to a local boulangerie or café for a more satisfying petit déjeuner (breakfast) of coffee and croissant or other freshly baked pastries. 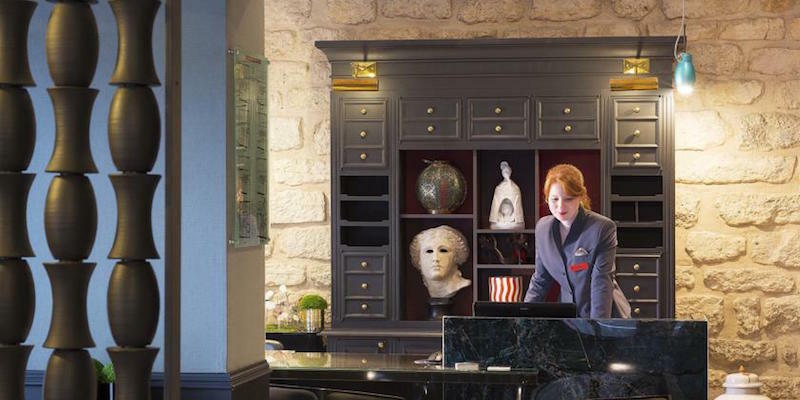 Service in boutique hotels in Paris is usually very good. The front desk will be able to help you make dinner reservations and recommend the best things to see and do in the neighborhood. 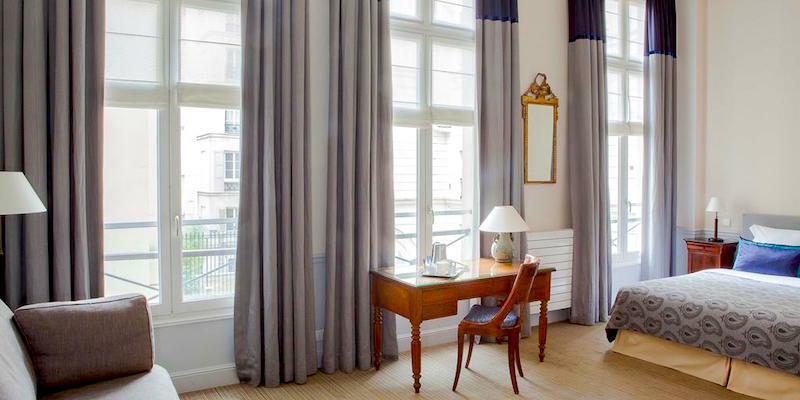 Perfectly located in the center of things, the Hotel Thérèse's neighbors include the Palais Royal, the Louvre, Palais Garnier and the Tuileries Garden — all between a 4- and 10-minute walk away. 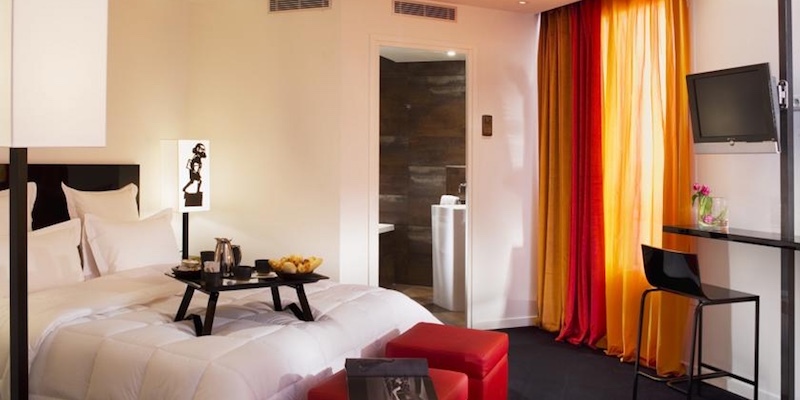 It's also one of the lovelier Paris boutique hotels with touches from the past mixed with modern amenities. 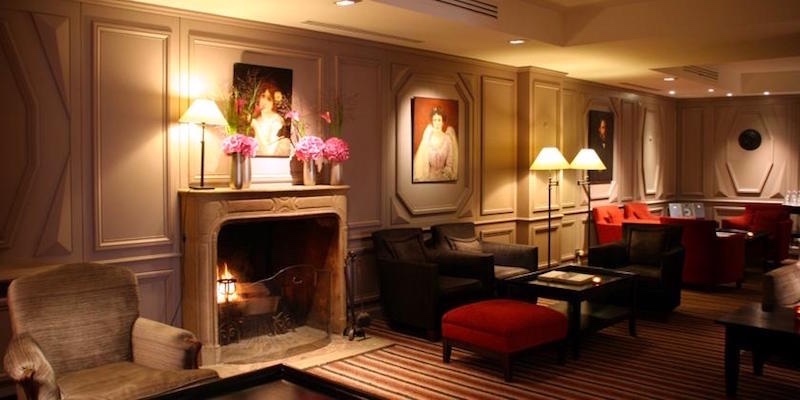 Loved by travelers and reviewers, Hotel Muguet is in a great location next to Les Invalides in the 7th and is particularly famous for its superb service. Behind the pink-painted brick exterior of this recently renovated hotel are forty-five calm and comfortable rooms. 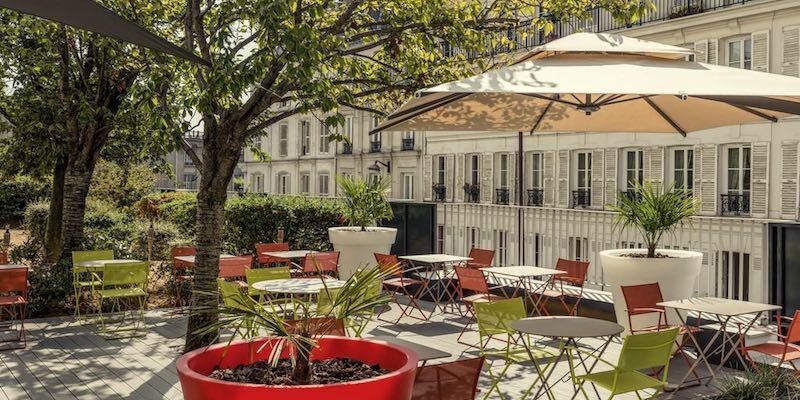 Hotel Brighton is also in the heart of the city, directly across the street from the gorgeous Tuileries Gardens, close to the Louvre and all the nearby Paris sights. As you might expect with a location like that, the views from the rooms facing the garden are simply stunning. The Brighton was one of the very first hotels in Paris and, since its renovation a few years ago, it's charming, modern, and convenient. 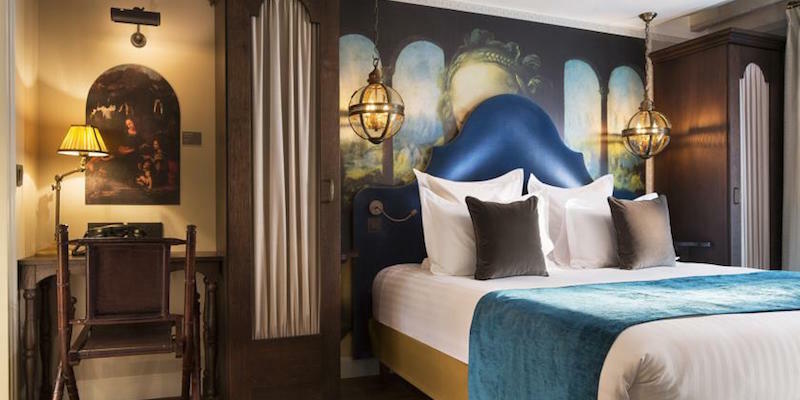 This boutique hotel is also situated in the highly desirable neighborhood of Saint-Germain-des-Prés, within site of the church of the same name, the oldest church in Paris. After a renovation a few years ago the Madison was upgraded to a 4-star rating. The 52 traditional, elegant rooms each have their own individual ambiance and décor. 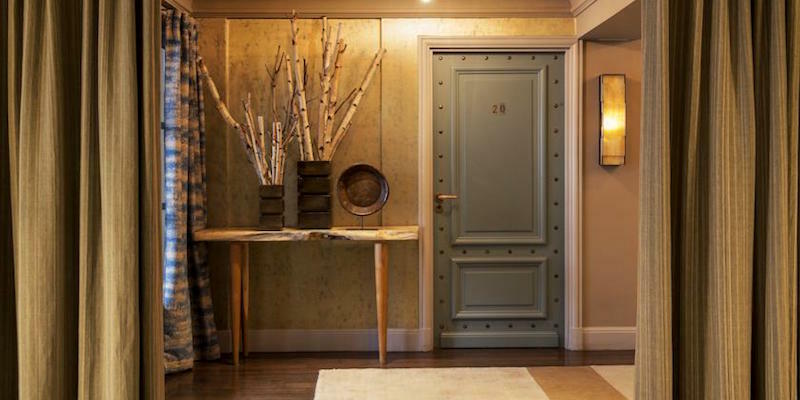 This designer boutique hotel is located near Place de Clichy and its Metro station, just down the hill from Montmartre with its winding streets, great food, and historic buildings. Each room at Secret is individually decorated with soft lighting and includes a hydro-massage tub. Travelers rave about this quality hotel. This hotel started life as the famous cabaret of the same name. Recently it's been completely renovated to a stylish, modern decor. Also located at the foot of Montmartre, Le Chat Noir has air-conditioning and flat screen televisions. 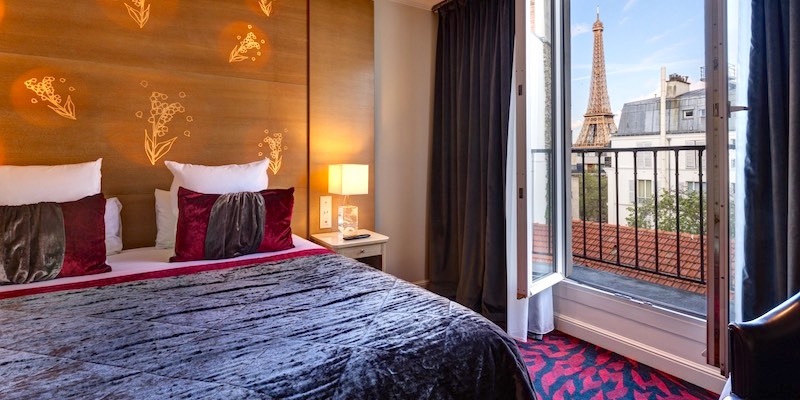 Ask for a room on the top floors for views of the Eiffel Tower.